Getting a divorce or a dissolution of marriage can be one of the most stressful times in your life. There are many important choices that need to be made following the decision to actually get a divorce. These include formulating a parenting plan, deciding a timesharing / visitation schedule, calculating child support obligations as well as the division of marital assets and liabilities. While almost all couples go into divorce proceedings hoping for a smooth transition from marital to post-divorce life, this doesn’t always happen. Regularly, divorcing spouses are unable to agree on parenting decisions, a parenting plan, timesharing schedule or how to divide marital assets and liabilities. This is what Florida law categorizes as a “contested divorce,” and often times requires a judge to make the decisions that cannot be agreed upon for the couple. 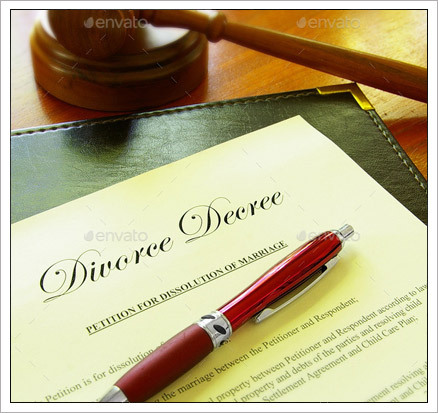 We understand you need a knowledgeable attorney who is sensitive to your needs and desires in the divorce proceedings. Our goal is to help you resolve the issues that are contested as smoothly as possible and without litigation. However, given our extensive experience in family and matrimonial law, we are fully prepared to go to court and aggressively represent you when necessary. We work hard to increase the chances that the issues within the divorce that are contested are resolved satisfactorily to you, so that you can begin the healing process and move on to building a new future. Contact us for a consultation regarding your contested divorce. We are committed to giving your case our full attention and are available now to speak with you. Call us today. (239) 417-9900. © 2016 Naples Divorce Attorney | Law Office of J. Gary Shirk. All Rights Reserved. Important Notice and Disclosure: While we welcome inquiries about potential representation, please do not send any confidential information about any matter before we agree to represent you in that matter or we request information. Pursuant to Opinion 07-3, dated January 16, 2009, any information sent to us unilaterally may not be treated as confidential information and, depending on the circumstances, could be used against the person sending the information. Accordingly, before sending any confidential information to us, please contact us so that we may determine if we have any conflicts of interest and if we are otherwise able to represent you.